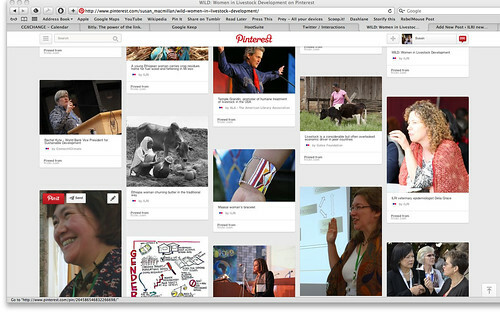 Check out our WILD — Women in Livestock Development — Pinterest page. 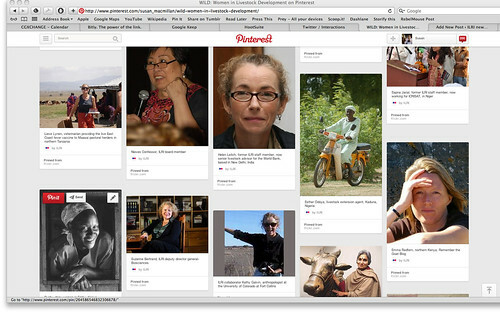 ILRI WILD Pinterest board on Women in Livestock Development created to celebrate International Women’s Day in 2014 (illustration credit: ILRI). 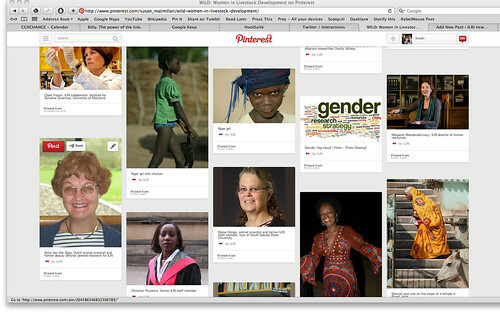 Today, we celebrate International Women’s Day today (8 Mar 2014). 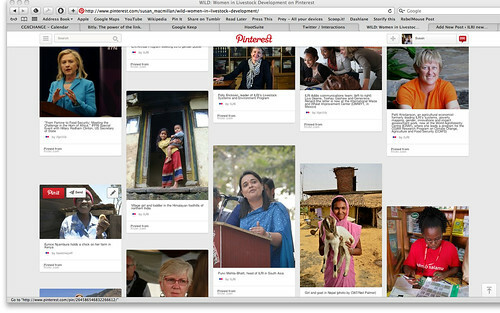 Those of us at the International Livestock Research Institute (ILRI), who work in Africa, Asia and Latin America to reduce poverty, hunger, disease and environmental degradation through livestock- and research-based interventions, have put together images of ‘women in livestock development’. Each of these WILD women from ILRI, from our partner organizations and from around the world is making a difference through livestock-related work. Watch a 13-min filmed presentation of gender expert Jemimah Njuki, formely of ILRI and now with the International Development Research Centre, explaining why women are important in livestock development and also why livestock development is important: ILRI Film: Farm animals can help millions of women raise the well-being of their households and communities, 30 Mar 2010. Or watch a 6-min documentary about Mary, a widow in Malawi who has used the products of agricultural research to improve her (very hard) life and livelihood: ILRI Film: One woman’s struggles in rural Malawi, 8 Mar 2010. Enjoy the day! And remember—millions of women lifting themselves and their families out of absolute poverty matter to livestock development, and livestock development matters to millions of women lifting themselves and their families out of absolute poverty. 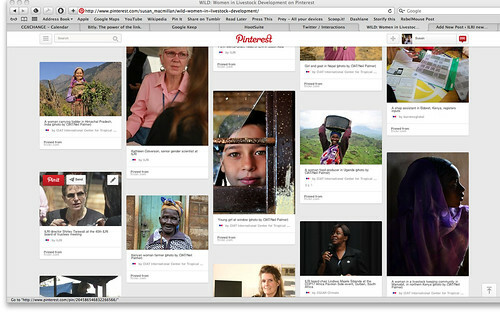 Tags: IWD, IWD2014, WILD. Bookmark the permalink.